Starting in January Kiwi will be running our popular 10-week evening courses for all levels of experience. 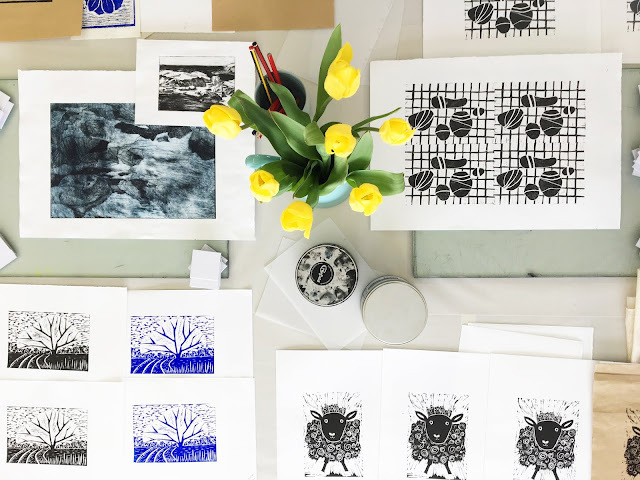 Courses range from a 10-week Beginners in Printmaking, Intermediate, Advanced, Professional Practise and a New Print Development Summer Course for professionals working in the creative educational sector. Each evening course is taught by Dena O'Brien and Ella Brett, both qualified printmakers and share the love, uniqueness and organic qualities printmaking has to offer. 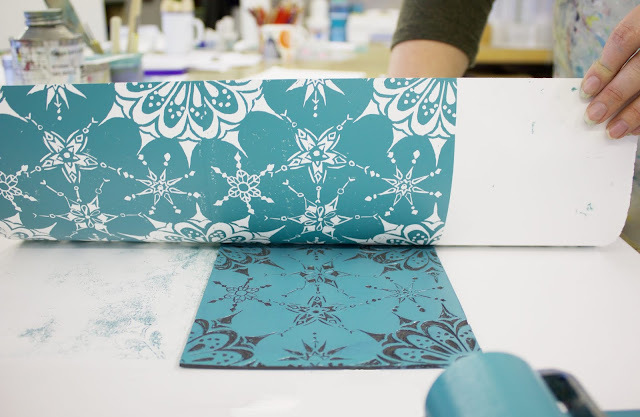 The evening courses allow you to apply your own ideas, get inky, explore a range of printing making skills and techniques. 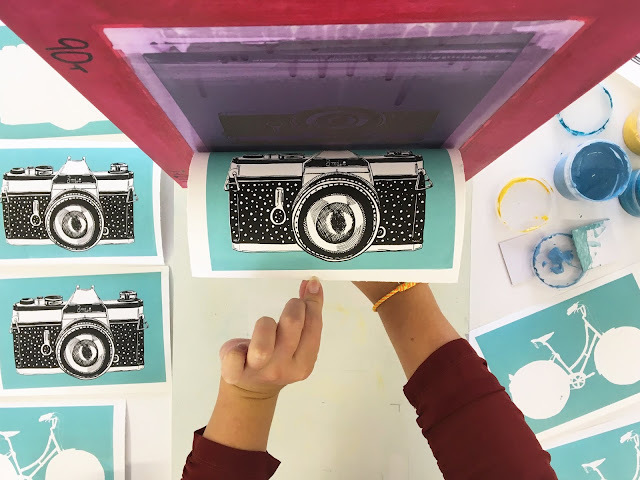 With the help of Dena and Ella's experience you will produce a range of prints and gain valuable skills, problem solving, explore different print methods throughout each course. This new 10 week course will emerge you in everything screen print. It will run on the selected evening from 6.30-9pm and teach you all you need to know to getting started on your design work to pulling that squeegee across your screen. You will explore a range of skills and techniques such as one colour screen printing, repeat fabric and emulsion screen printing. 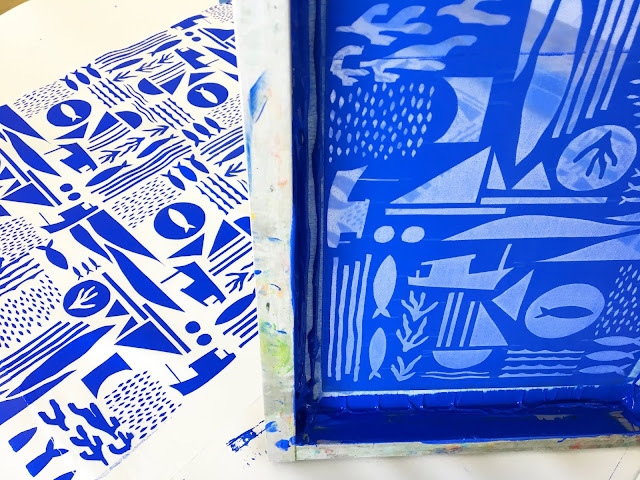 If screen printing is something you have wanted to learn or have loved before, this course is perfect to throw you back into a fully equipped print making environment with the support and guidance from fully qualified print maker Ella Brett. Apron or old shirt. We do supply some but please bring you own if you would prefer. We will then contact you with more details and what to bring along for the course, along with payment details. The intermediate 10 week screen printing course is perfect if you have already been on our beginners course or you have participated in screen printing before at a basic level. This course is designed to push your knowledge and designing skills, developing everything you already know further into spectacular designs onto paper and fabric. You will be guided by fully qualified printmaker Ella Brett, who will support and guide you through your projects and processes. Level: Intermediate and perfect for those who would like to develop their screen printing skills after attending our beginners evening course. The beginners printmaking evening course is tailored for those who have never done print before or need a refresher. For every processes you will be introduced too, Ella and Dena set a task along with a supporting handout to help you along the way. The aim of the course is to allow you to print and play, producing an experimental series of prints onto paper and fabric. You do not need any art background just willing to take part, have a go and make prints. 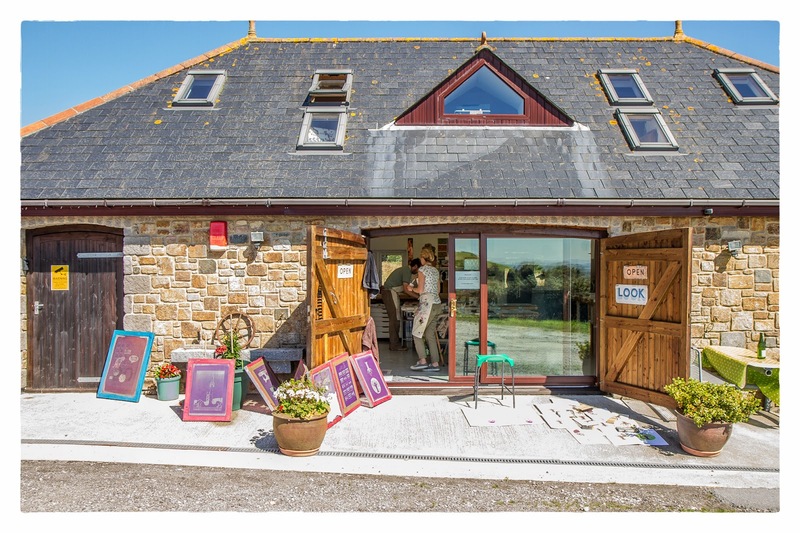 The intermediate course is designed for those with a background in printmaking if you have previously attended the beginners 10 week evening course. The course is tailored to help and encourage you develop your current printmaking skills and challenge them further. A fun and professional level where you can apply your own ideas and create a series of prints using a wide variety or print procedures. Drypoint: Scratching an image into the surface of a plate, using selective inking techniques you will create a series of atmospheric post card style images. Lino: Design a multi colour separation, cut and print a colour reduction lino block. Print a small edition onto specialist print paper. Emulsion screen Print: Photo stencil screen printing. Make a drawing and learn how to prepare and expose your design onto a screen. Mix colour and print a small edition onto specialist print papers. Fabric repeat pattern: Create a drawing and transfer it into a stencil to print repeat patterns onto fabric. Level: Intermediate and perfect for those who would like to develop their printmaking skills after attending our beginners evening course. The advanced printmaking evening course builds on the skills, techniques and knowledge that you have gained in previous evening courses. 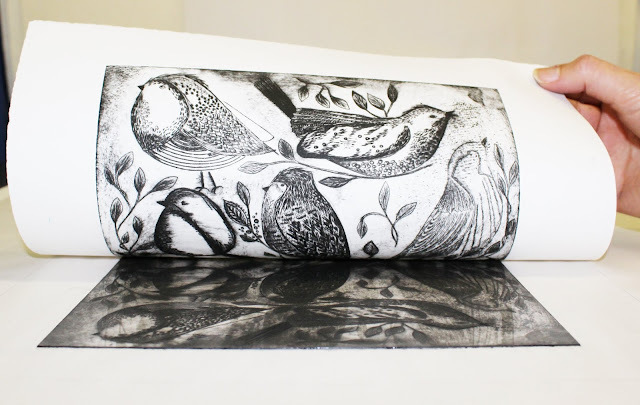 The course will encourage you to continue developing and experimenting using a range of intaglio and relief printing processes, working towards a transition from student to a self motivated and independent print maker. With the help of tutors and set briefs with clear course guidelines, you will develop a range of prints demonstrating your own individual ideas. The course aims to encourage you to improve the research, development and production of prints. As part of this course you will be required to gather ideas, source material and research recorded into a visual diary. There will be three set optional briefs that you can select from to develop over the course, however you can create your own set brief and apply and develop these ideas over the 10 weeks. This is to help you plan and prepare ideas in preparation for each session in readiness to print. Booking and availability: Please email kiwiprintstudio@gmail.com providing your full name, email, address and telephone. Booking terms and conditions: Please see terms of booking on the general information page. people only to allow each individual to gain as much professional tuition. You will research ideas, processes and artists to support your practise. Dena will carry out individual tutorials and demonstrations over the 10-weeks to discuss your ideas, aims, practise, outcomes and development. 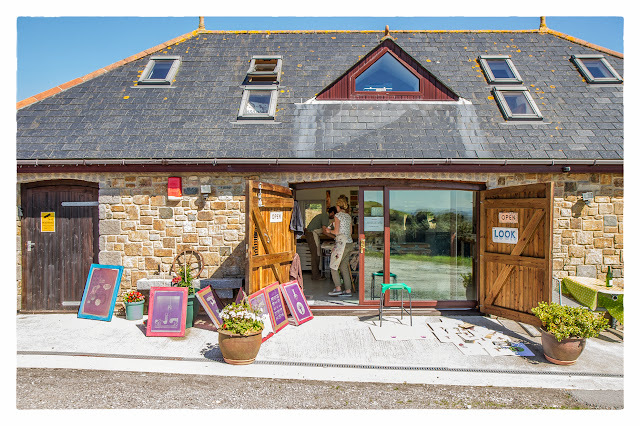 Participants will be expected to develop a body of work from two chosen print areas such as Screen printing and Lino. Too support your chosen print processes you will be also required to document ideas, research and reflect on your practise into a journal. Dena will encourage all participants to problem solve and invent approaches in print that makes their work unique and at a professional level. Tools, materials and equipment prepared in advanced for your individual needs and use at the studio. General art kit such as pencils, paintbrushes, ruler, rubber, cutting matt. Please note: We recommend investing in your own printmaking tools if you wish to explore a particular process. Unfortunately we cannot loan out studio equipment. 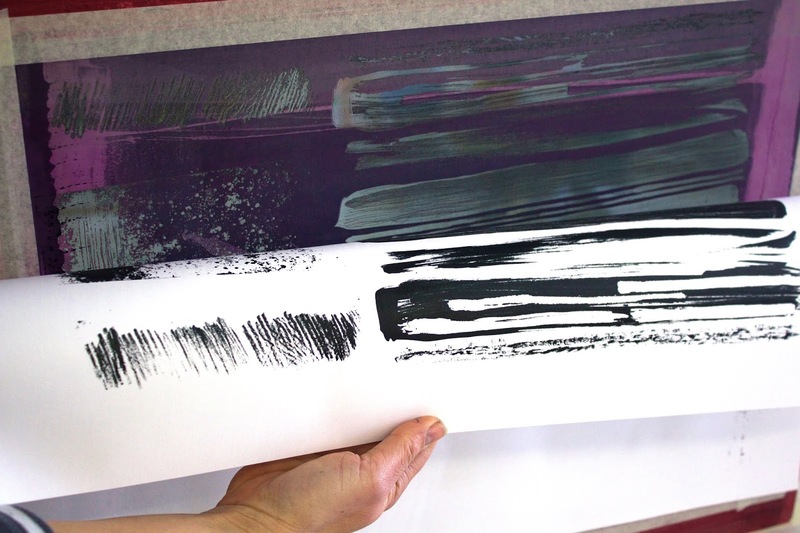 Level: The course is tailored for those with experience in Printmaking. You will be required at times to work independently on your printing and actively researching, preparing plates and design work, prior to the course sessions. Price: £310.00 including materials to cover two printmaking processes within A4 size (Please note specialist print papers, large screen exposures and screen print mediums will be additional and a price list will be emailed out along with your booking confirmation). Booking Requirements: Email Dena and Ella at kiwiprintstudio@gmail.com. Please let us know a time to contact you via the phone. We will call to discuss your experience and if applicable we will invite you to the studio for a 20min tutorial and will need to review a series of work to support your printing experience.